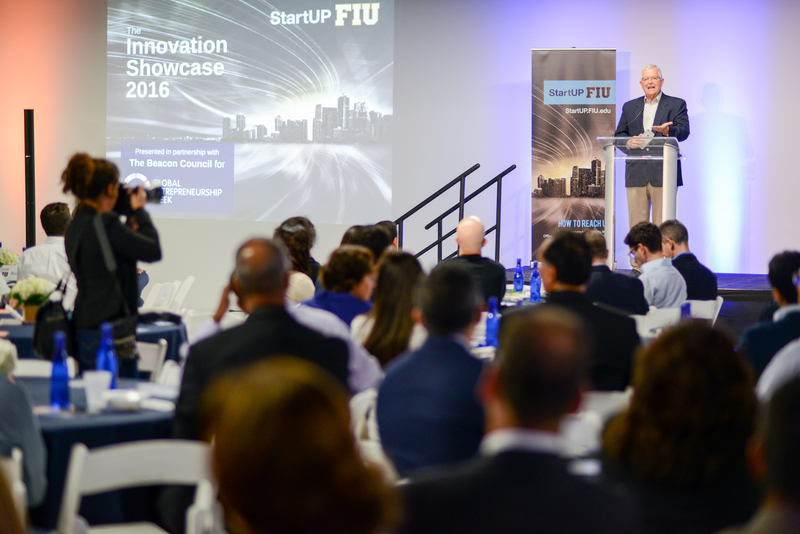 StartUP FIU had its coming out party this week at a luncheon in Miami’s Little River neighborhood. In attendance: more than 200 movers and shakers eager to hear about the university’s new business incubator. To that end, the university is putting all its resources—expertise, facilities and connections—behind ambitious entrepreneurs with the drive to go big. The goal: turn the region into a hotbed of innovation that will attract likeminded visionaries and willing investors. The Miami metropolitan area is already a recognized leader in entrepreneurial activity, with a 2014 report ranking it second among 40 big markets. In access to capital, however, it ranks 39th, a huge barrier to newcomers. The talent and the will are there. StartUP received more than 300 applications for the initial two sessions of its flagship accelerator, which is state-funded and completely free to participants. Additional accelerators, focused specifically on technology, the arts and the food industry, will come online in 2017. The current cohort of 19 teams includes students, alumni and local residents with no affiliation to FIU. They have received step-by-step guidance in aspects such as identifying their competition and creating a business model; intensive mentoring from successful entrepreneurs; presentations on topics such as packaging and branding; access to labs and researchers as needed; and introductions to others throughout the community. The entrepreneurs will conclude the 14-week program by making their pitches to a group of venture capitalists a la “Shark Tank” on Dec. 6 at MMC, to which the community is invited. One company, Bid.Areo, an online marketplace for aviation parts, has already seen its star rise as a direct result of going through StartUP. The three-man team, all in their mid-20s, has been approached by a London group that owns British Airways and several other airlines. Among the other companies currently in StartUP: a design group that 3D prints prosthetics, a beekeeping social enterprise, a virtual reality physical therapy system, a cloud-based eye-disease screening system, an online platform in support of e-sports competitors, a college-prep mobile unit and an organic banana-juice distributor. StartUP also wants to help faculty members take their research to market, and two have been accepted to the spring 2017 cohort. Several professors spoke to the audience to showcase how their research is having an impact on industry. Michael Cheng, director of the Food & Beverage Program at the Chaplin School of Hospitality Management & Tourism Management, discussed his work on behalf of a national company looking to keep its avocado-based product from turning brown in the microwave. Jose Almirall, director of the forensic science master’s program, talked about his patented device to help homeowners detect carcinogens and other compounds in the air. Jaret L. Davis, chair of the Beacon Council, welcomed FIU’s partnership in creating an ecosystem for building industry. The event, held in an ultra-cool converted warehouse run by STR, was co-hosted by the economic development organization and sponsored by the law firm of Carlton Fields. Provost Kenneth E. Furton has made support for startups a part of the university’s strategic plan.